Little boys, some as young as 6, spent their long days, not playing or studying, but sorting coal in dusty, loud, and dangerous conditions. 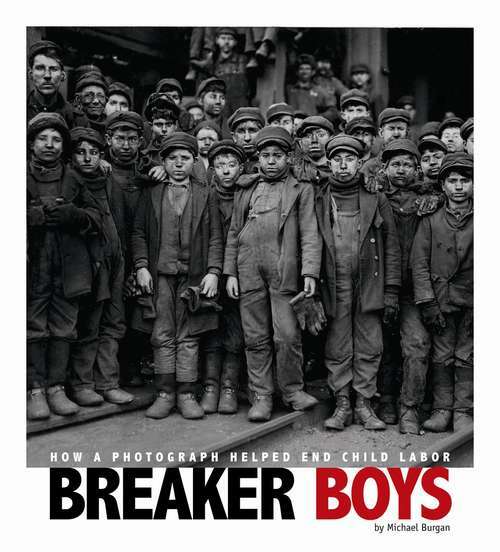 Many of these breaker boys worked 10 hours a day, six days a week all for as little as 45 cents a day. Child labor was common in the United States in the 19th century. It took the compelling, heart breaking photographs of Lewis Hine and others to bring the harsh working conditions to light. Hine and his fellow Progressives wanted to end child labor. He knew photography would reveal the truth and teach and change the world. With his camera Hine showed people what life was like for immigrants, the poor, and the children working in mines, factories, and mills. In the words of an historian, the more than 7,000 photos Hine took of American children at work aroused public sentiment against child labor in a way that no printed page or public lecture could. Compass Point Books, a Capstone imprint.